Via mail-in form. Offer good November 15 to December 31 on qualifying items. Click image for printable form and complete details! <p>Via mail-in form. 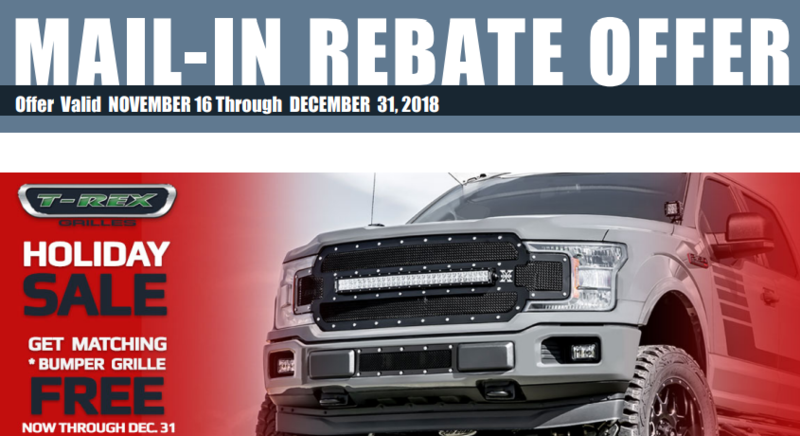 Offer good November 15 to December 31 on qualifying items. Click image for printable form and complete details! Via mail-in form. Offer good November 21 to December 21. Click image for printable form and complete details! <p>Via mail-in form. Offer good November 21 to December 21. Click image for printable form and complete details! Via mail-in form. Offer good November 16 to December 31. Click image for printable form and complete details! <p>Via mail-in form. Offer good November 16 to December 31. Click image for printable form and complete details! Via mail-in form. 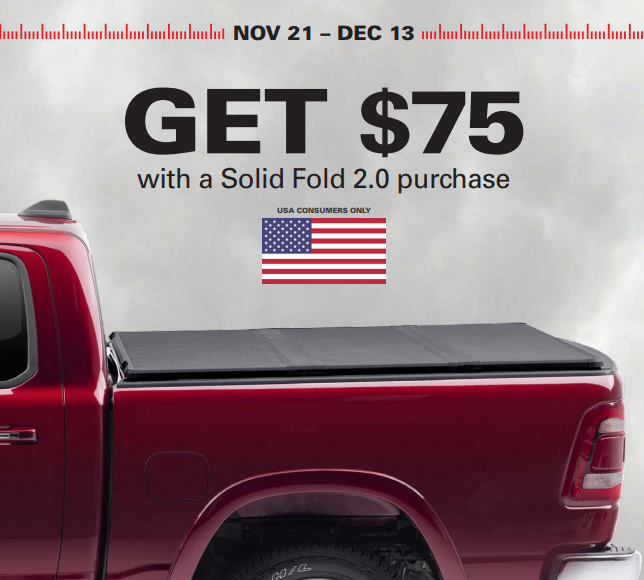 Offer valid November 21 to December 13 to US customers only. Click image for printable form and complete details! <p>Via mail-in form. Offer valid November 21 to December 13 to US customers only. Click image for printable form and complete details! Via mail-in form. Offer good October 25 to December 31. Click image for printable form and complete details! <p>Via mail-in form. Offer good October 25 to December 31. Click image for printable form and complete details! Via mail-in form. Offer good October 22 to December 31. Click image for printable form and complete details! <p>Via mail-in form. Offer good October 22 to December 31. Click image for printable form and complete details! 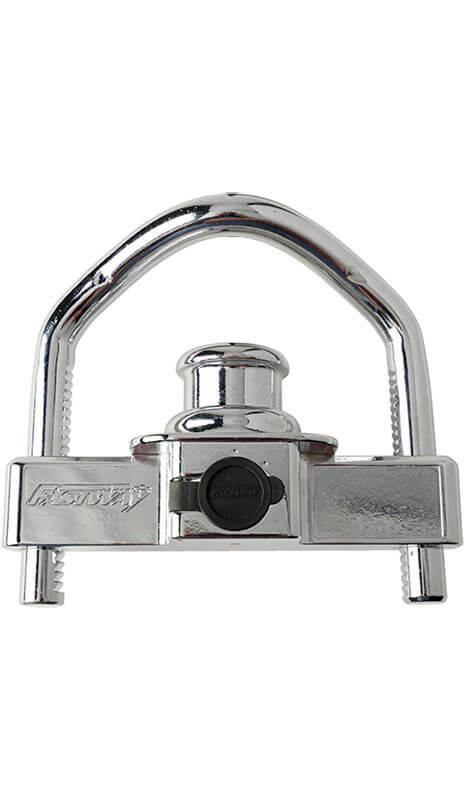 The FORTRESS coupler lock from Fastway is the most universal coupler lock on the market, designed to work with nearly all variances, from inverted couplers and wide flanges to surge breaks and different ball sizes and latch mechanisms. 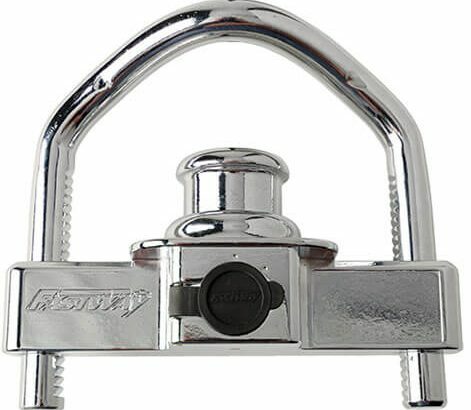 FORTRESS takes the guesswork out of securing your trailer coupler, whether it’s for boats, RVs, horses, ATVs, and more. 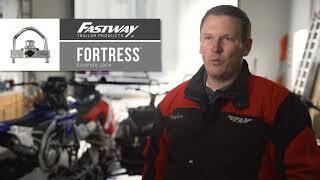 Fastway tested the FORTRESS on thousands of applications—and they still didn’t find one that didn’t fit. The 86-00-5015 FORTRESS coupler lock features a thick housing, pick-proof lock, corrosion-resistance, a solid opposing bolt system that locks both sides, and a front-facing key hole for easy access to keyholders. Includes a winged cover to protect the lock from dirt, debris, rust, and ice. Fits most trailers with a 1-7/8”, 2”, or 2-5/16” tongue. Nearly universal fit: most trailers with a 1-7/8”, 2”, or 2-5/16” tongue. Solid (not hollow) detent ball. Almost impossible to drill or pick. Front-facing key hole with smooth-turning cylinder. 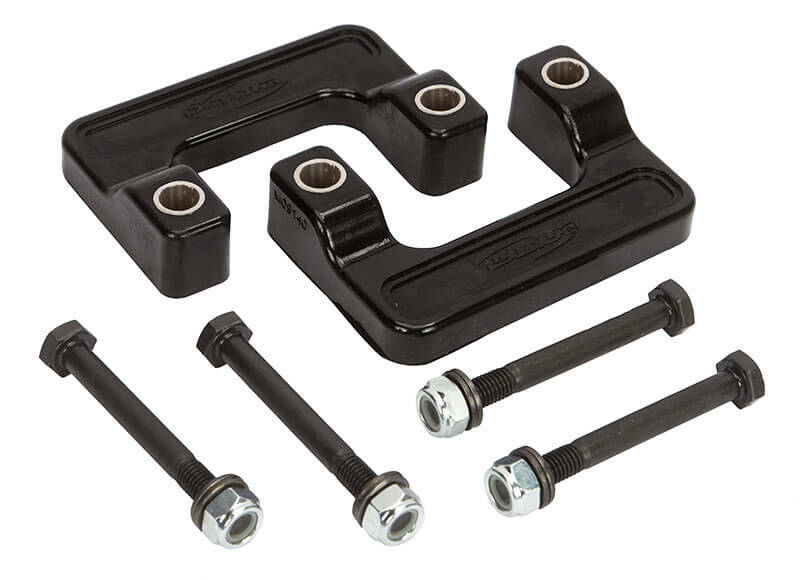 The KG09140BK Daystar Comfort Ride leveling kit uses heavy-duty, progressive-rate polyurethane spacers to bring the front of your vehicle level with the rear—all while retaining the stock factory ride quality you love. The setup avoids any metal-on-metal contact, corrosion, or squeaks and is made in the USA to Daystar’s exacting standards. For GM 2007–2018 1500 Series trucks, 2007–2017 SUVs, and 2007–2013 Chevy Avalanche. For GM 2007–2018 1500, 2007–2017 SUVs, and 2007–2013 Chevy Avalanche. Levels the stance of your vehicle. Engineered for Milestar Patagonia A/T 31” tires. No metal-on-metal contact, corrosion, or squeaks. For hard workers who don’t want to baby their side steps, Dee Zee Rough Step running boards are up to the challenge. Their rough, grated style not only begs you to scrape off your boots, but it also allows mud, water, snow, and other runoff to fall right through. 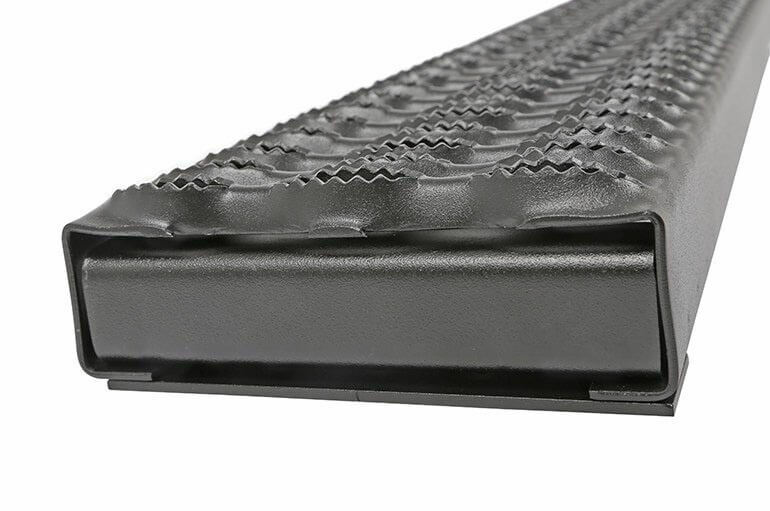 Rough Step running boards are available in 12-gauge industrial steel or heavy-duty aluminum that is further protected with Dee Zee’s patented NRT (no rust technology) black powdercoat. Made in the USA and backed by a limited lifetime warranty. Available for trucks and cargo vans. Grated top provides unmatched traction and cleaning ability. Dirt and water drain away to keep the board clear. Rugged 12-gauge steel or heavy-duty aluminum. NRT black powdercoat increases corrosion protection. 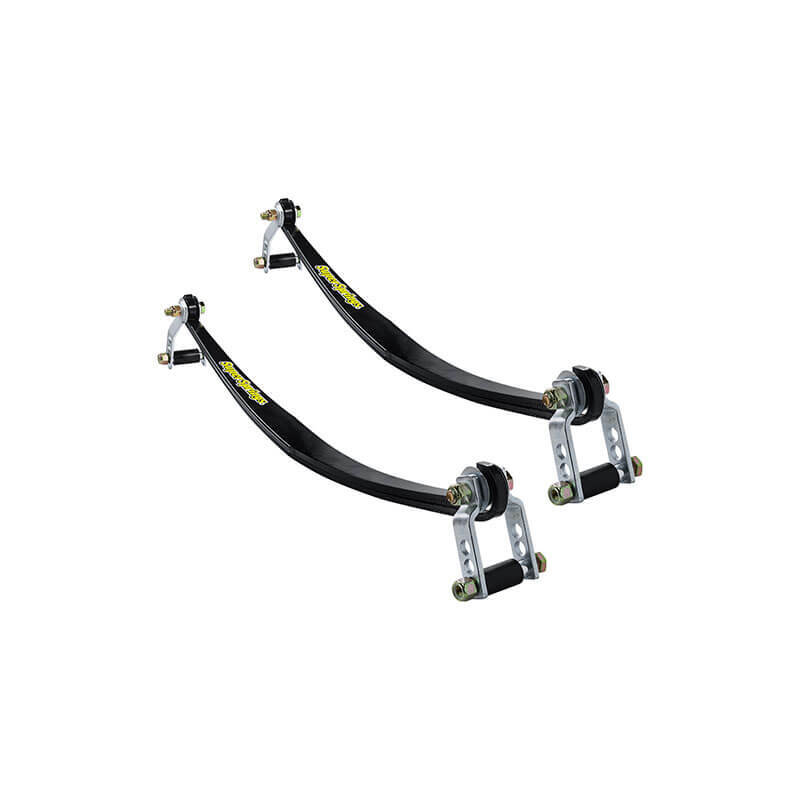 SuperSprings’ namesake product is a unique, patented, self-adjusting suspension stabilizing system for vehicles with rear leaf springs that levels loads and reduces body roll. The SSA13 kit, designed to fit Chevrolet/GMC Sierra/Silverado 2500/3500, Express/Savana 3500, and Ford F-250 and F-350 vehicles, provides extra load support and reduces body roll up to 30% without compromising ride quality. This maintenance-free system works with OE leaf spring assemblies. Sold in a left and right pair. 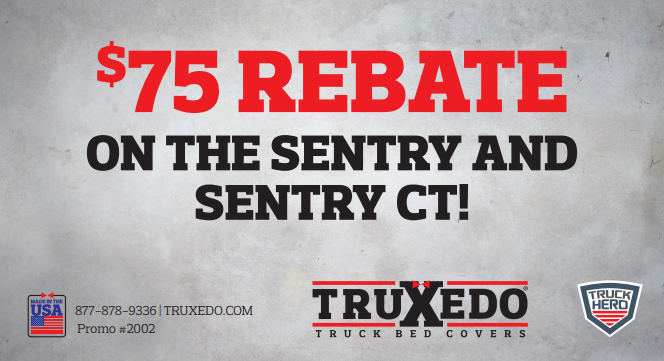 For Sierra/Silverado 2500/3500, Express/Savana 3500, and Ford F-250/F-350. Maintenance-free, self-adjusting suspension stabilizing system. High-grade SAE 5160H steel is shot peened to relieve spring stress and extend life. 3,000 lb. additional load-leveling ability. Reduces body roll up to 30% without compromising ride quality. Adjustable shackles allow installation to suit various needs. Works with original-equipment leaf spring assembly. Installation: < 1 hour (typical).